Agents can have an unlimited number of chats with other agents of the same tenant. In Agent Console, find the agent you wish to chat with from the agents list. 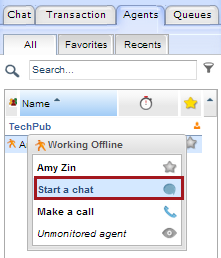 Click on the agent’s name and select Start a chat. Type your message and click Send or press Enter. 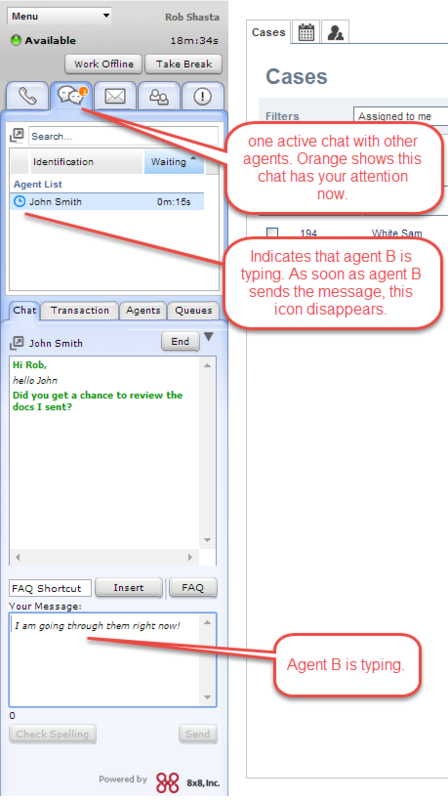 Note: There is no accept or reject button for agent-to-agent chat. The chats are received automatically. 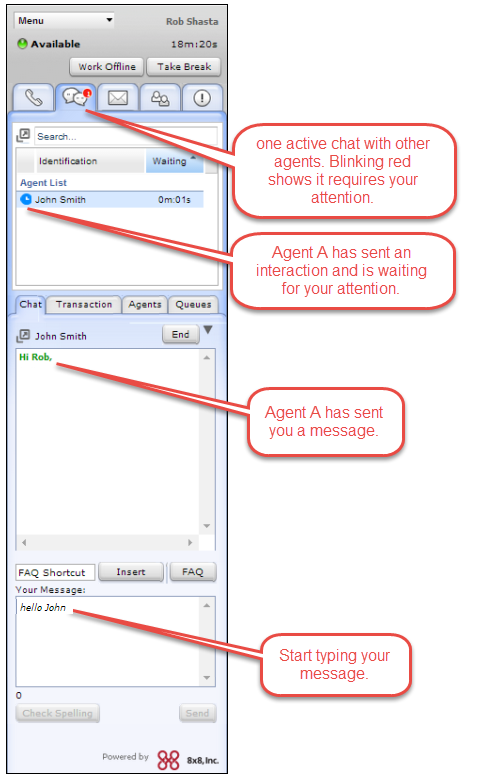 As agent B, the moment you receive a chat request from agent A, the number on the chat tab starts blinking red. In addition, indicates a chat requires your response. Notice that agent A appears in the Agent List. In Agent Console click on the Chat tab. Start typing your response in Your Message text box.